Are you drinking water to lose weight? 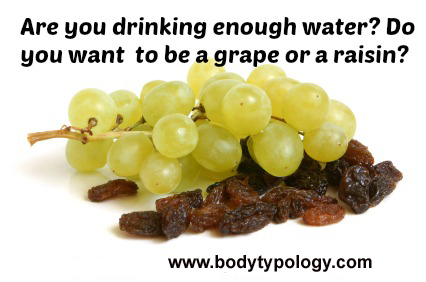 So many people think that they are hungry when they are actually dehydrated. When you drink more water you decrease hunger in general since most "hunger" sensations are actually thirst, and of course you eat less! So proper hydration is essential for weight loss! Which beverages deplete the body of water? May contribute to ADHD and reduce students grades. 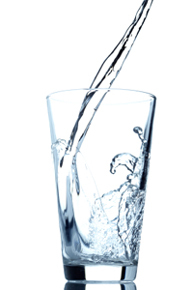 If you drink one caffeinated beverage, replenish your fluids with 1 and a half glasses of water for each cup. Did you know hangovers are largely the result of dehydration? Alcohol dehydrates the brain but causes endorphin release, which is why it is addictive. Again 1 and a half cups of water are needed for each cup of alcohol consumed. Like caffeine, aspartame causes the brain to use up the energy stores. This increases hunger and sugar cravings. About 10% of aspartame gets converted to formaldehyde and methyl alcohol, compounds known to cause nerve damage and blindness. Aspartame has also been linked with headaches, dizziness, confusion, memory loss, drowsiness, epileptic convulsions, tumors, hypersensitivity and other problems. Find better sugar substitutes. Fruit juice is pasteurized, ie heated to very high temperatures, and most of the beneficial properties of the fruit are lost in pasteurization. Tehy can also be stored in huge vats for months, and then flavoring is added to them. When you drink fruit juice you immediately shoot glycemic levels way up only to have the ensuing crash and cravings for more sweets follow. Studies now link soft drinks and other sugar sweetened beverages to a higher risk of weight gain, diabetes, heart disease and gout. 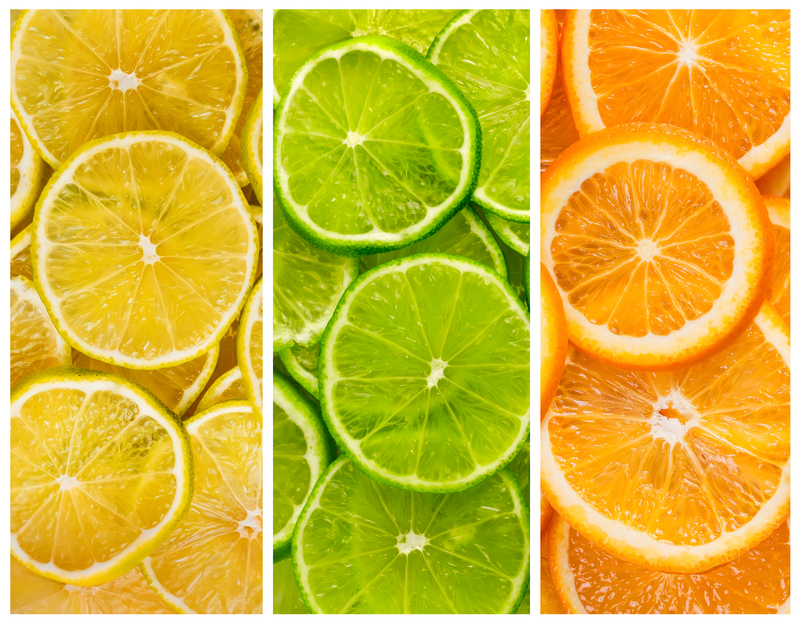 In a study of 51,000 US women, those who increased their juice consumption over four years gained more weight, (about nine pounds) than those who cut back on juice (about five pounds) ¹ Bottom line, eat fruit rather than drink juice! The brain is the most hydrated organ of the body, being 85% water. The brain and the central nerves are bathed in a fluid called cerebral spinal fluid. The brain uses water to create energy. When dehydrated the brain has to get more energy from food, which causes sugar cravings. Try drinking water to lose weight and greatly increasing the amount of water you drink and you will certainly notice your sugar cravings diminish or disappear. Give it a try and you will see how it really works. I was quite surprised at how my sweet cravings completely stopped, it really works! When we eat more sugars and refined carbohydrates the brain only uses 20% of these increased calories. The body stores the remaining calories as fat. Increasing water intake reduces sugar cravings and fat deposition. Hydration may also increase leptin, a hormone from fat cells that decreases hunger. 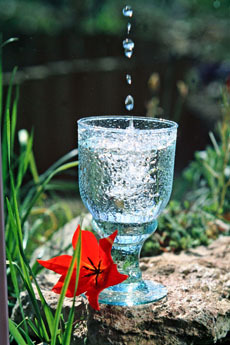 It is easy to see how drinking water to lose weight is essential. Of course that depends on you, your body, your lifestyle, how much time you are exercising, how hot it is etc. A general rule of thumb is 1/2 ounce per pound of body weight per day, or more. Drink whenever you are thirsty, including during meals.